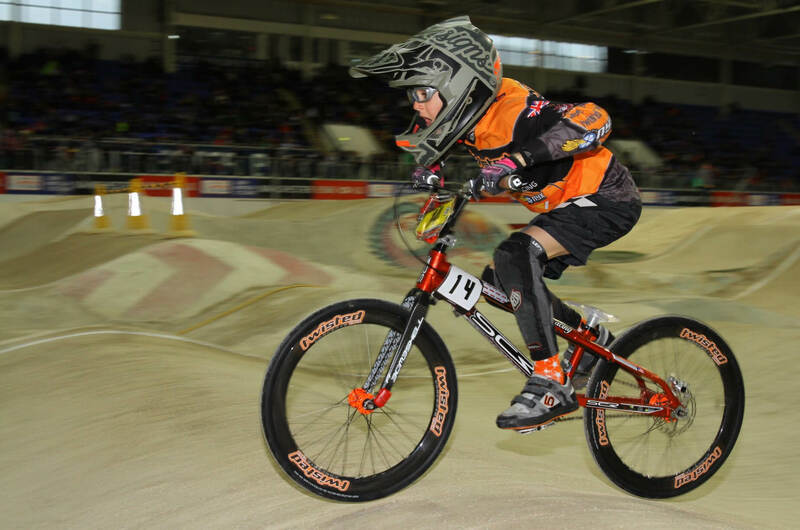 After a long winter in the Twisted camp, with lots of changes going on with the bikes and line up, we were glad to get back to racing at Round 1 & 2 of the HSBC BMX National Series. 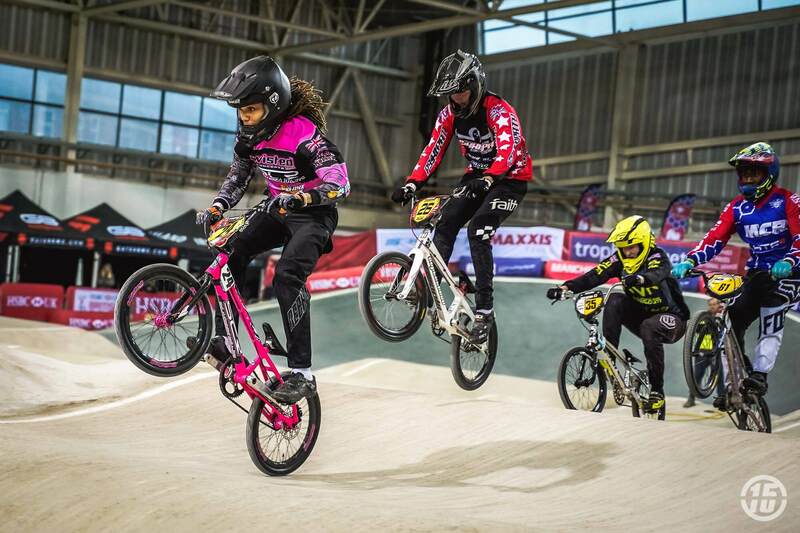 As usual they were held at the home of British Cycling in Manchester, the formidable Indoor. The indoor had undergone a serious facelift over the winter, giving the track a lot more flow, changes that have generally been received for the better within with BMX community. From the challenge 5 metre hill, the first jump has been tweaked slightly and is still pretty kicky. The jump into the first turn has been completely changed though, it’s now a big step up to step down with loads of flow and pump on the downside, a fast improvement to the step up that was there before. The second straight has had big work done, for the better in most rider’s eyes. The long low step up out of the corner has been replaced with a double, which is a huge hit with the kids, who were sending it all weekend long, the middle jump is now a mellow triple and the final jump into turn two is a slightly tweaked version of the step up that was there before. The final big change was to the third straight, the split pro and amateur straights have been completely scrapped and combined into one, with a nice wide-open following rhythm section. This year we decided not to have a gazebo set up on the final straight, so we all sat up in the heated grandstands, the kids and parents mostly prefer the view, the proximity to the café, toilets, shops etc. The atmosphere is electric up there most of the weekend, especially for the block two finals on Saturday, when it filled pretty much to capacity. It was also considered not necessary to have a gazebo roof over our heads when we were indoors anyway. 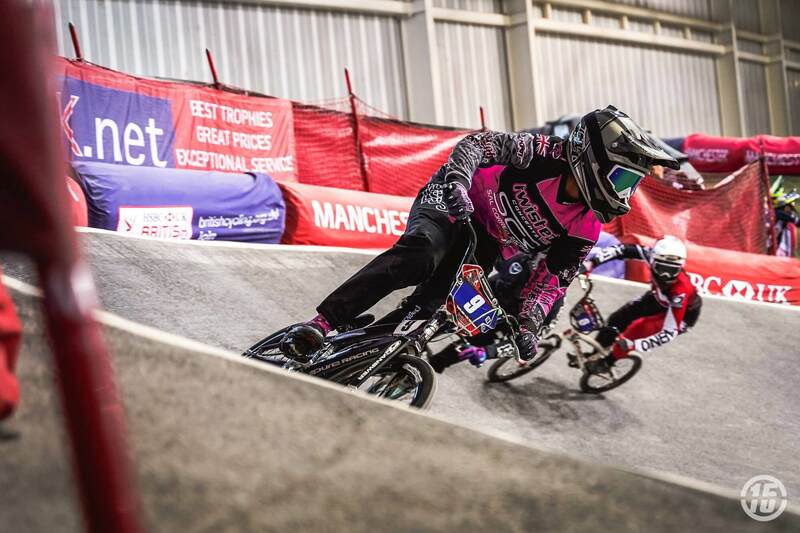 Manchester Indoor is always and a physical and emotional roller coaster of an event for riders and parents and can take its toll. A lot of the team had done ‘Racing Under the Roof’ over the winter, so the new track was no mystery to them, but some of the more Southern based riders had only been there once for a team session when we hired it out. Some hadn’t ridden it at all yet, so it would be a real test for them. Most of the team raced this weekend, with some very mixed results and outcomes. We had Corey Brown in the 8-year-old boys. New to the team, Corey is known as #hungry as he’s hungry for success. On day one our little rocket had good moto and knockout round results, but made hard work for himself in the final. Going with gate 6 he got caught up in traffic in turns one and two, pushing hard to the end he came away with a 5th. Day Two, he went in flat out from the off. Again, great moto results at the sharp end. A brilliant semi from Corey put him in a good position for the final. Off the gate the riders both sides tried to squeeze him, but he stood his ground and got on the gas. A perfect first berm and Corey powered himself into second place, just nipping ahead of the previous E3. Into the final stages of the race, Corey was still defending with a text book last turn Cory held his composure down the final straight to take a brilliant 2nd. 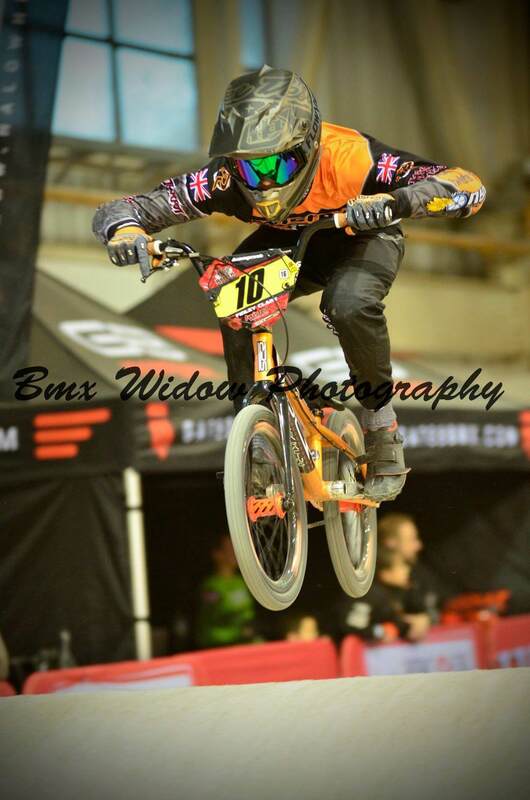 Another new rider to the team Fred Dudman in the 10 boys. Fred loves jumping and going large, he’s not afraid to make the moves either. Fred was going for one of those moves in the first moto, trying to go from fifth to third when he hit the deck, this rattled him a bit for the day and he went out in the moto’s. Day two he got his composure back and got back down to business, getting some great moto results, he got through to the quarters rode a great qualifier to progress onto the semi and B final. A great result from one of our rising stars. Ben Hallett was out in the 9-12 cruisers. Having ridden both 20″ and Cruiser in past seasons, Ben has decided to concentrate on his Cruiser class this year. Due to his diminutive size and weight, Ben has always struggled when racing against riders who, despite being the same age as him, are much taller and heavier. What he lacks in power, he makes up for with technical ability, but sometimes you just need power! 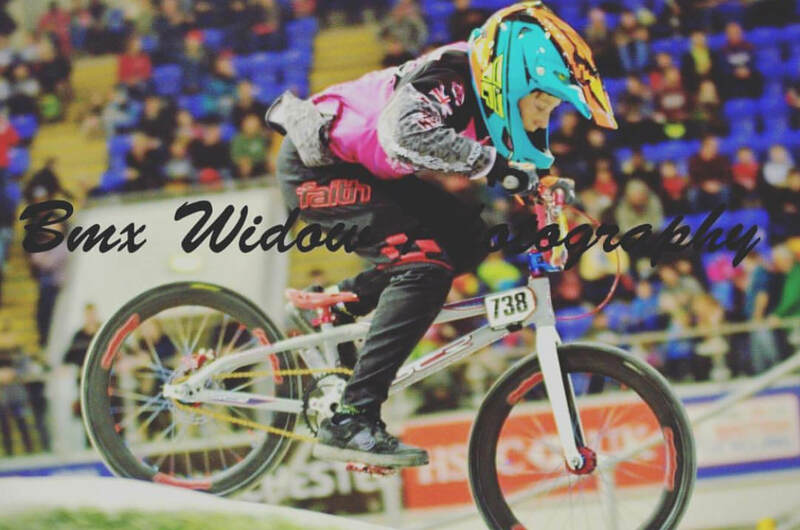 Excited to spend time with his new team mates and some of his BMX buddies who regularly compete in the National Series, Ben was also hoping to make good use of his winter training sessions. 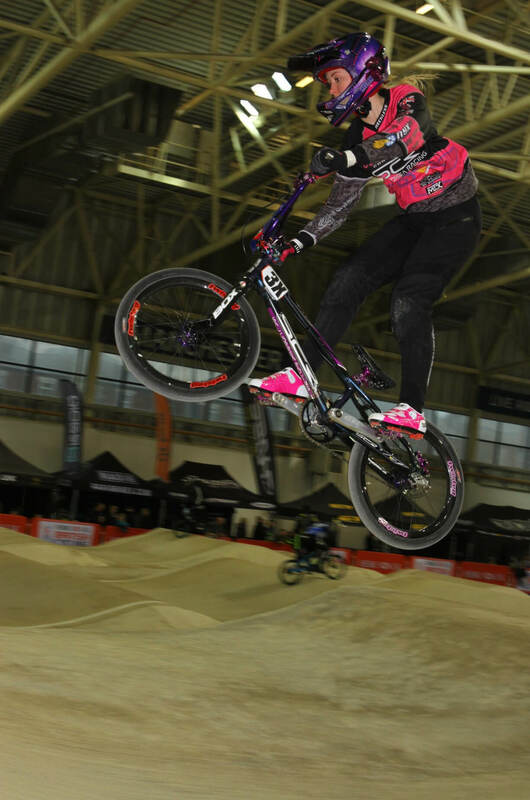 On both days, in the Moto rounds, Ben achieved mid-pack finishes (4th or 5th), which propelled him to the semi-finals. He made the B final and achieved 5th place on both days. A big achievement for a tiny lad! Ben feels he had his best weekend at a National and came away very happy and proud of himself. He is now more determined to improve his position and finals results at future events. The 12 year old boys was full of Twisted livery, with three riders competing in this catagory. Harry Kirby had suffered a dislocated knee playing rugby at school at the end of last season, so was kept off his bike for 4 months, which we thought at the time was a disaster, but turned out to be the complete opposite! While out of racing, Harry grew quickly, and he also realised how much he missed racing and came back a more driven and motivated kid. He’s been training under the watchful eye of Mark Seaman and Sean Freeman at Hayes Hawks since the new year and his riding, track presence and tactics have been instantly transformed. He put in easily his best national rides over the weekend, getting some great mid pack finishes, but in one of the hardest age groups there is you need to be capable of making an A final to guarantee you can progress into quarters, such is the depth of talent. Both days Harry had a moto that contained more than it’s fair share of A finalists and international standard riders, so with even one moto like that it makes it extremely difficult to make the cut and he missed out by a couple of places. With a bit of luck with the draw Harry has shown he’s more that capable of progressing through the knockout rounds and he’s starting to believe he can too, so we’re hoping for greater success further into the season. We also welcomed onto the team Henry Clark from Tamworth. This was his first ever race at the indoor and he really enjoyed it. It was Henry’s first race of the season and in a very challenging age group he managed a 6th, 7th and 4th so just missed out on a quarter final. Sunday results were better with a 5th and two 4th’s, meaning he had his first ever national quarter final! It was a tough one and he came in at the back, but even making the quarters in that age group is now a massive accomplishment. Henry’s goal for the weekend was to get to the quarters and it happened, so he’s really pleased with how he raced over weekend. 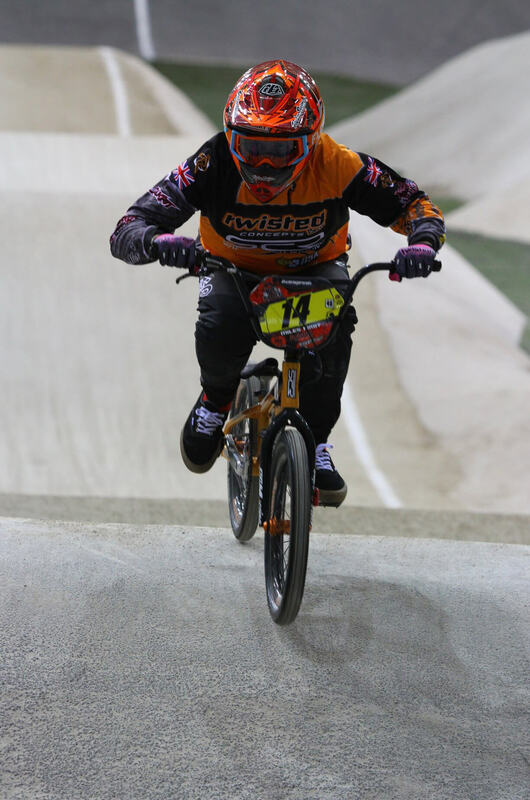 Max Dudman, older brother of Fred is the final addition to the 12 year old boys, and like Fred he isn’t afraid to send it, recently jumping the CycloPark pro section! The steep and lippy tracks suit Max down to the ground and he was getting rad for the crowd over the double out of first berm on the second straight all weekend, getting some great pictures for his Insta in the process. Max made the quarters on the Saturday, but suffered the same fate as Harry and Henry with crazy stacked motos on Sunday and didn’t manage to progress onto the knockout rounds. 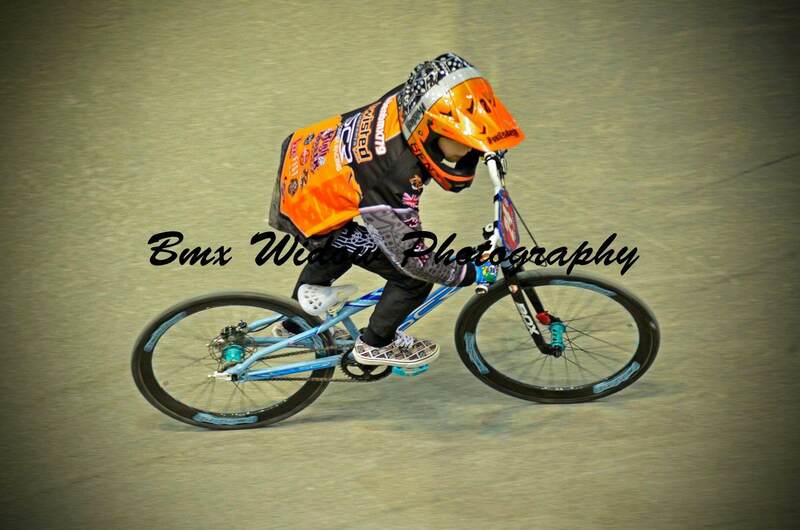 Watch out for Max at CycloPark national round, he’s got that track on lock-down and we’re sure he’s going to make mains. A fresh face to the team in the 14 girls is Evie Wood. Not a bad start to the season from Evie,she had a good 1st Moto on day 1, finishing 4th against the world number 3. 5th in the second, again up against world 3, then in Moto 3 she made a move in turn one for 3rd and had a slight coming together with two riders, so it didn’t work out for her. She ended up 11th overall and out of a qualifying position. Now the girls classes have been split into separate age groups there isn’t enough riders for a B final, so it was early bath time for Evie. Sunday was a very similar day ending up 11th again. A bit to work on for the next round, but she’ll keep smiling. 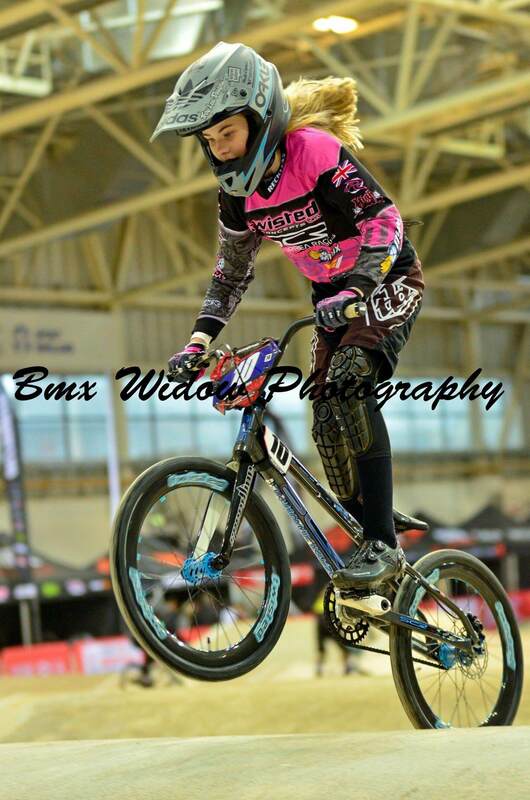 Off the back of racing the 15+ girls at ‘Racing Under the Roof’ Morgan Haslam decided she really enjoyed racing a different range of girls, so she gained permission from BC to race up in the 16 girls to mix things up a bit this year. Manchester is one of Morgan’s favourite tracks and she was excited for the season to start and ready to go! Both Saturday and Sunday saw mixed results in motos, ranging from first to fifth, but she managed to make the cut with it going straight to A final both days. Outside gate picks worked well for Morgan on both days though, going from gate 7 on Saturday and 8 on Sunday helping her avoid the squeeze and she racked up two 2nd place finishes. Buzzing from the first two rounds Morgan is really looking forward to the representing Twisted and Great Britain at the European Cup rounds in Verona in 2 weeks’ time. And so, 2019 began for Fin Clark in the 16 boys with some success and a bit of disappointment. Day 1 went to plan with great Moto results, 1st, 1st and 2nd, a great set up for his confidence in the Semi Final. A mid pack start give him some work to do, but he battled through to 2nd, and onto the main. A great start, Fin was amongst it, but a bit of pushing and a tight squeeze meant he lost momentum and had to work a wee bit extra, which he did, but just didn’t get that drive he had in his motos or semi and crossed the line in 4th. A little emotional and hugely disappointed, but 100% effort, what more can you ask for. Day 2 and the motos went well again, with a 2nd, 1st and 3rd, setting up more confidence for the semi. His semi was a little bit more relaxed and he came home with a 3rd. So, time for the main, a great start mixing it in the top 3, chasing to the line, he was happy to improve on the previous day’s result with a 3rd place podium finish. All in all, a good weekend and onward to CycloPark, another big and burly track he excels on. Another addition to the Twisted team is Taylor-Lei Mohan from Peckham in 17+ female. Taylor has serious power, track presence and a total racers attitude when she’s on the track, who wants to be at the front no matter what and nothing else is good enough for her. 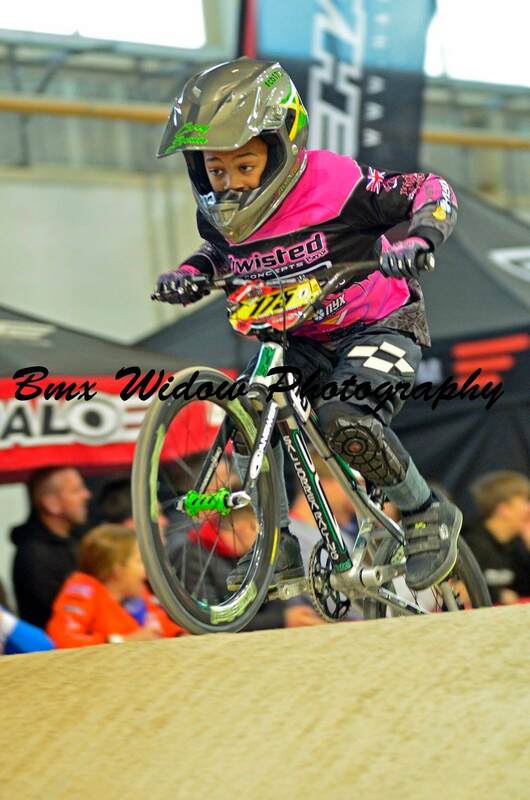 Taylor had a really good weekend at Manchester with the team. Winning her first national motos was a huge achievement. Making the semi and then A final on both days was a great result, getting a 6th on Saturday and a 5th on Sunday. She found Sunday more challenging as she got a bad start in her semi, so she was sat in 7th, but fought her way through the pack to get a 4th on last straight. The atmosphere from the team was great and she can’t wait for CycloPark. 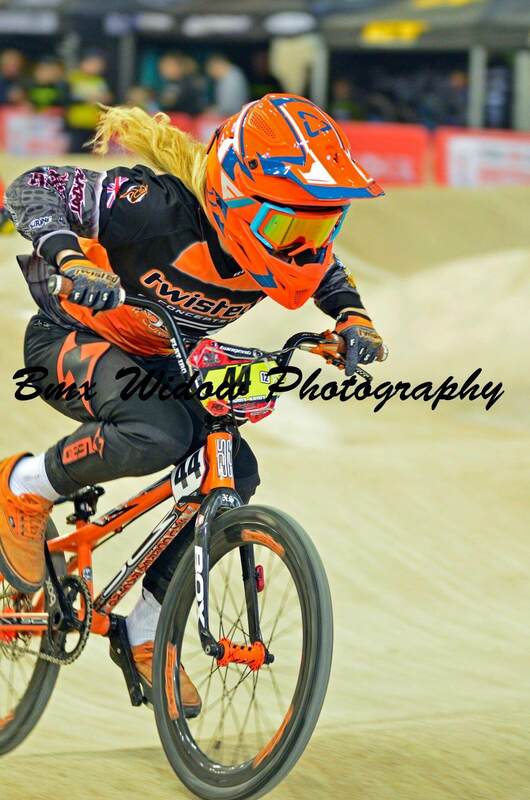 Check her out on a track she knows well, being a London based Southern rider. Princess Morgan’s Dad Tom Haslam has now joined her on the team and is representing us in 40-44 cruisers. Tom is well known for sending jumps and having fun on the track, so we can’t wait to see what he’ll be trying a clear this season! He was really looking forward to the start of the new race season and was loving the track changes at Manchester. Saturday started off well with some good Moto results putting him in the semi’s, then qualifying to the A final. A crash on the 2nd straight in the final put an end to the weekends racing, but luckily, he walked away with just a shoulder injury. Tom will be back at CycloPark, another track he really enjoys and will probably be bullied into jumping the first straight triples again by his rad daughter. The Hackney Insta boys Nathan Konggutong and Meeshaq Malone were fighting for places and going well in the 17-24 men’s category. Both of them are now finding their feet in one of the biggest and hardest categories there is. Nathan didn’t enjoy the weekend as much as he’s hoped, coming unclipped in his quarter on day one, then failing to weave his way through heavy traffic in his quarter on day two. He’s looking forward to better luck on a track he knows better at CycloPark. Meeshaq faired a little better on his striking pink custom SCR, dreadlocks flowing he managed to get through to the semi-finals on both days. Meeshaq had his cornering on point at the weekend, dominating the first turn to great effect, especially in Sunday’s quarter. His power is getting right up there and with a bit more luck we know he can make the A’s at CycloPark. Vet’s got crazy hard this year, not the biggest field the class has ever seen, but all the big hitters were there, even Hugo Martin, the W3 from Portugal was over getting in on the action. With such a class field it was really hard to get out of the motos and into the semi, in fact every moto was like a semi. Spencer Cremin didn’t have any luck at all, crashing out in his first moto on Saturday, the big man forgot that the laws of physics didn’t actually apply to him and he hit the floor so hard the leaky ceiling shook and rumor has it that plaster actually fell from the wall across the corridor in the velodrome. Luckily no fault lines appeared in the last straight (as usually happens with earthquakes) and racing could resume as normal. Obviously after a big off like that Spencer wasn’t himself in the next two motos and didn’t get though, then called it a day on Sunday. Also, out in Vet’s was Twisted’s nobility, Miles Kirby. Miles loves nothing more than throwing out turn bars over doubles, but this weekend was serious, getting out of the motos was going to be tough, so back wheels were left on the track and the elbows were out in the turns. Everything was going well on Saturday, progressing with though the motos with some solid racing Miles made the semi’s where his luck ran out, he hit the deck in the first berm whilst diving up the inside pushing for a qualifying spot and was crashed into by a following rider, causing rumors that he was actually looking for a stash of nuts he’s buried earlier. The B final went well for him considering he was cut and bruised, he weaved through the chaos to get a 3rd. Day two the Lord was stiff and sore, but went out to give it his best shot. After having a disastrous first moto, being shut down at the first jump by the W3 who didn’t get the best gate Miles was pushed out of the back of a stacked pack and finished a disappointing 6th. Miles then had to fight hard for every place he could get in the remaining motos and scraped though to the semis on count-back, with an outside gate he struggled to get up into a qualifying position and had to settle for another B final. The B was chaos again, mid pack battling always the way round Miles held strong eventually crossed the line in 4th. We had some fantastic news from our growing international family over the weekend. 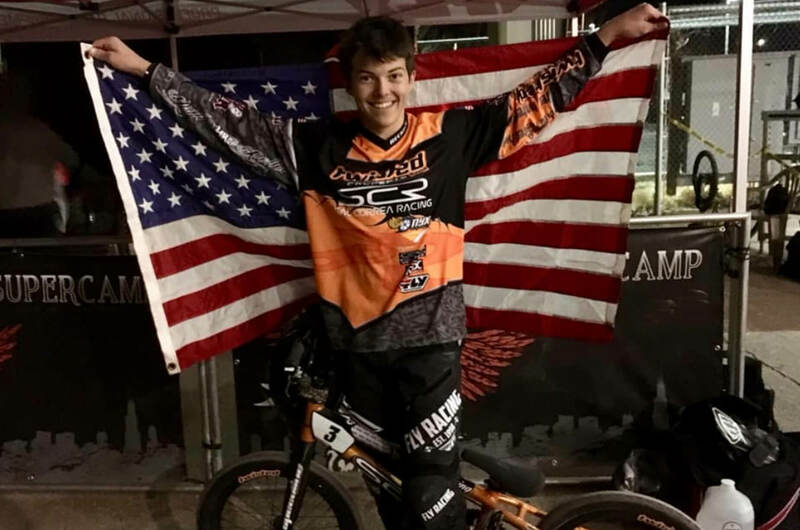 Twisted USA rider Tyler Hagan was getting the results he needed to qualify for this year’s worlds in Belgium, so massive congratulations to him for winning the chance to represent his county and Twisted on the worlds stage. With a bit of luck Tyler will be able to visit the UK while he’s in Europe this summer and get the opportunity to hit up some races here. Please come and check out the Twisted team set up at CycloPark at the next round of the national series and see what full custom options we can offer on our dream builds. We’ve got 3k weave carbon rims different options on logo colour, we also supply custom laser etched Onyx hubs in any conceivable colour combination and also offer a complete wheel building package. We are the Onyx European Warranty and Service Centre and only use genuine Onyx parts. We are the sole-European supplier of SCR frames, welded by the legendary Sal Correa, provided in the most unique powder colours on the market and with custom themed frame graphics. We have led the way in disc conversion kits and now offer brackets with build in tensioners that fit most frames, from 10mm up to 20mm axles. Please check our website out to see the full range of products we offer, including Flow Vision Goggles and Eyewear, Fist gloves and Reckless racewear. We would like to thank our worldwide sponsors and team partners for their continued support going into the 2019 season. Sal Correa Racing, Tangent Products, Onyx Racing, MTX Audio, HRV Fitness, Fist Handware, Reckless Race Concepts, Flow Vision, Joov Muscle Rub, High Roller Energy Drink, Powers Bike Shop, Sic Surface, Nik Nak Engineering, Fifteen BMX Magazine, Riders Life Australia, Auto Barn Hoppers Crossing.